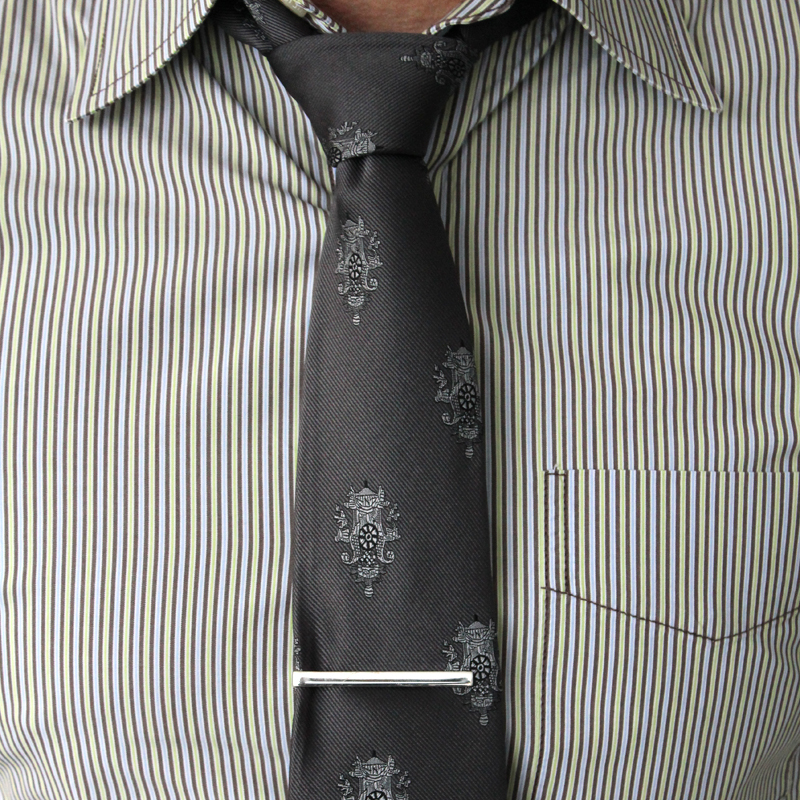 No, this tie was not worn on New Year’s Eve, but since today is NYE, I figured I’d better get this subject used (again). My next post will actually be my Halloween tie, so we’re definitely performing some holiday bouncing. Big happenings at TieXchange yesterday…we had our first non-family, non-friend inquiry into our services. It’s a step, right? Not sure how Bill found us, but I’m glad he did. My Tie du Jour in question is a pretty classy number from English Laundry. It’s gray with a lighter gray crest adorning. I really liked how it went with this striped shirt. So, I’m writing this with about 8 hours left in 2011 (Central time-wise). This year was mostly good, with sprinkles of bad in there. Those little sprinkles keep you on your toes (I’ll call them sprinkle-toes), and make you appreciate the goods. I met a lot of great, wonderful people this year, and I maintained and bettered even more friendships. The turn of the year always brings a new hope to optimists like me. I have so many new things in my life right now, I’m practically ebullient to witness the turn of the clock to midnight. Two-thousand twelve (MMXII for you Romans out there) will prove to be spectacular, I can feel it. Of course, my feelings fly out the galaxy if the Mayans were indeed correct about the end-of-the-world predictions. And, thus, I raise a toast to spectacular years and the inaccurate predicting powers of ancient civilizations. Cheers! This entry was posted on December 31, 2011 at 3:58 pm and is filed under Uncategorized. You can follow any responses to this entry through the RSS 2.0 feed. You can leave a response, or trackback from your own site.